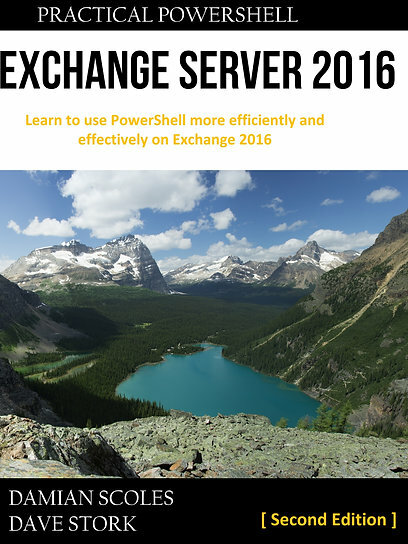 Exchange 2013 CU7, Exchange 2010 SP3 RU8 and Exchange 2007 SP3 RU15 are out! Update 12 december 2014: The fixed Exchange 2010 SP3 RU8 with v2 is now available. Same location as the plagued v1. Update 10 december 2014: Exchange Server 2010 SP3 RU8 has been pulled due to connectivity issues with Outlook. There is currently not ETA on the fix. Customers are advised to not install this RU8 or remove RU8 if they already installed it. The initial Exchange Team blog post has been amended with this new info. As of now no other issues with the 2013 and 2007 updates are known. Today the Exchange team released new updates to Exchange 2007, 2010 and 2013. These were actually scheduled to be released in November, but an installation issue prevented this and delayed it until now. Most notable changes are the increased amount of Public Folder performance support; from 100.000 to 250.000, the improved support for Offline Address Book distribution, addition of Russian time zones and the implementation of security fix MS14-075 (among others). A more complete list of implemented fixes can be found in KB2986485. For those that cannot (yet) install CU7, this security fix will be made available for 2013 SP1 (CU4) and CU6. CU5 will not receive this specific security fix, SP1/CU4 will have this because it has the status of a Service Pack and CU6 is N-1 at the time CU7 is released. CU5 would be N-2 and due to the new servicing model would be out of support. There is one special note regarding Exchange Server 2013 CU7; it is advised to upgrade ASAP and perform a full backup of all Exchange 2013 servers. This would mitigate any potential restore issues that could occur in very rare situations. I haven’t experienced any issues first or second hand regarding restores, but just to be sure follow the advice and backup after installing CU7. And another note: for those who are running hybrid Exchange with 2013, they should upgrade to CU7 or at least should be running CU6 as of today in order to remain supported. For Exchange 2010 SP3 the newest update is Rollup Update 8, and for Exchange 2007 SP3 the newest update is Rollup Update 15. Both contain minor fixes, updates to Russian Time zones and a security fix for the aforementioned MS14-075. A more complete list of implemented fixes can be found in KB2986475 for the 2010 update and in KB2996150 for the 2007 update. As always, even if there is a reason to install the update(s) ASAP, be sure to test it in a representative lab/test environment before deploying it in production. If you are unable to test for whatever reason, be sure to check blogs and twitter of the Exchange product team and/or Exchange MVPs.